The much awaited Bollywood movie of the year Tiger Zinda Hai finally got released yesterday December 22 and received great appreciation from the audience as well as the critics. 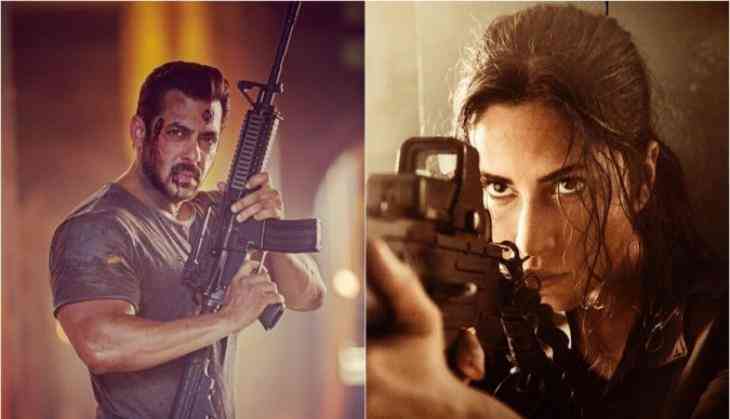 The movie is directed by Ali Abbas Zafar and starred none other than Salman Khan and Katrina Kaif and was a sequel to 2012 release 'Ek Tha Tiger'. The movie got a release on 5700 screens, out of which 4600 screens were in India. The prequel of the movie 'Ek Tha Tiger' managed to gain Rs 32.93 crore on its opening day but it seems that its sequel is set to break all the records, as per the box office collection report of day 1. Tiger Zinda Hai has managed to gather around Rs 33.75 crore on its first day. A Delhi-based film distributor and general secretary, Joginder Mahajan, of Motion Pictures Association, told IANS: "‘Tiger Zinda Hai' has received an extraordinary opening pan-India. The film has released in almost every screen. The seat occupancy for morning shows was about 60 to 70 per cent, which is good. It will increase in afternoon and night shows." #TigerZindaHai takes a HUMONGOUS START in UAE-GCC... Thu $ 950,000+ [₹ 6.08 cr]… Since the film is banned in Kuwait, the loss is approx $ 200,000. Today, the analyst again tweeted a good news about the fans and the makers of the film and announced the first day report of the film which was definitely a good news for everyone. He tweeted, "Tiger ROARS... Flexes its muscles at the BO and takes an EXTRAORDINARY start... #TigerZindaHai Fri ₹ 33.75 cr. India biz. 4600 screens"
5 #Raees ₹ 20.42 cr"
Since the film began with a good start, it is expected that the film will make a tremendous record.